$160.99 & FREE Shipping on orders over $59. So easy to use. Fill the sample tube with an amount of beer equal to the Fast Orange solution(1:1) and wait up to one week. Unlike the bulk Boullion you do not have to pour into a separate jar. This size is often used by larger craft breweries to test out the benefits and ease of use of Fast Orange. If they like it and want to do larger sample sizes in their lab they move to the Boullion. 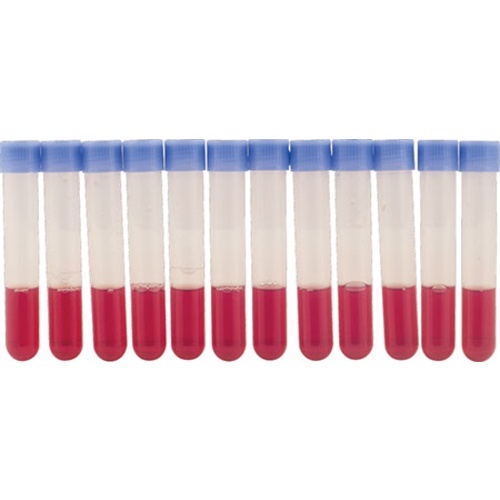 For smaller craft breweries without a lab these tubes can become your QC program. 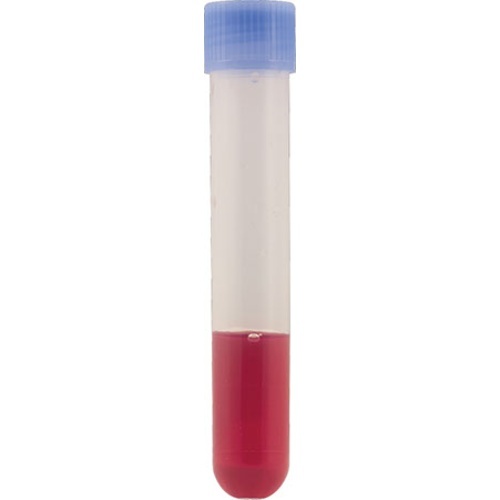 Even taking one sample at the end of fermentation, at the cost of a couple dollars per test, allows you peace of mind and may help ensure you don't release contaminated beer. Easily detect beer spoilers via a color change in a matter of days. Add a beer sample from anypoint in the process and if spoilers are present the tube will change from brown to yellow. Used by large breweries in their labs as a quick easy alternative to time consuming plating. Used by Nano and Microbreweries as a total QC program with no lab is needed. FastOrange B was traditionally developed by Dr. Vogeser, while she was at the Weihenstephan institute in Germany, as an erichment media prior to PCR tests. To aid in identification she discovered a way to trigger a color change when the pH is lowered by the acid bacteria produce. In a larger brewery it replaces the need for filtering, plating, staining, and observation under a microscope. If a postive sample is indentified and a larger brewery wants to either double check the result or indentify what bug is responsible they can send the sample out for PCR or perform PCR in house. Some breweries prefer a larger sample size, or to pour their own tubes under a hood, and will opt to buy the bouillion in the 240ml bulk bottles. For the smaller brewery FastOrange can be used as to establish an amazingly simple QC program without the need for a lab. So many times we see a lab being set up with no realistic chance to maintain a consistent QC program because of the time traditional practices take. To use a tube, fill it with a volume equal to the amont of media in the tube (double the volume in the tube) recap, place upright, and monitor for one week. The faster the tube turns yellow the more severe the infection is. No color change means no contamination. Sample beer at different stages, for example, once from the fermenter, before bottling, and after bottling to be able to determine from what stage and issue is coming from. Also use FastOrange in the tap room by directly filling the tubes from your taps. 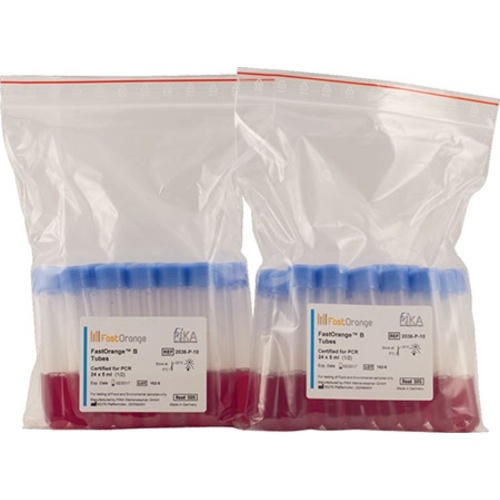 FastOrange B Tubes are easy to use prefilled incubation tubes, ready to be mixed with your beer sample to confirm sterility. Fast Orange gives you fast answers. invaluable to know if your cleaning methods are effective.